The QHA Awards for Excellence provide a forum for the recognition of the talent and innovation of the Queensland Hotel Industry. The night showcased the achievements of the venues and individuals that make the Queensland Hotel Industry so unique. 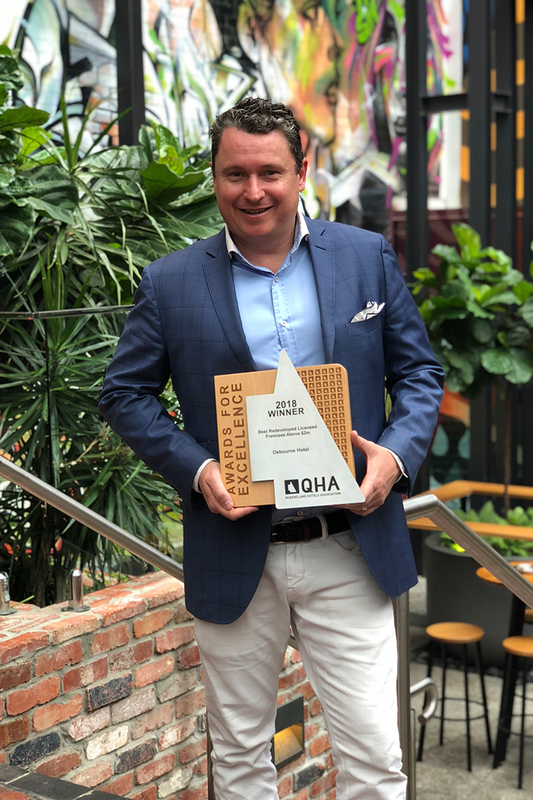 With so many amazing new and existing hospitality venues redefining the standard of excellence in Brisbane and a record number of nominees this year, it was an honour to be recognised for our achievements. Last year saw the Osbourne Hotel, formerly known as Fringe Bar and Kerbside, undergo a multi-million dollar makeover to restore the building to its original roots as a pub for the locals, and its namesake in a nod to its original owner, Charles Osbourne. The Osbourne has become an exciting oasis where patrons can enjoy craft beer throughout our venue whether it be inside in our art-deco bar, outside, amongst the lush greenery and unique curved copper beer fonts or upstairs in our cocktail bar, overlooking Ann Street. We’ve had a lot to celebrate recently with last month marking our first birthday. Brisbane came out for a night of food, drinks and entertainment to help us celebrate what has been an incredible first year for the venue. The Hotel’s mission statement to be “warm, welcoming and a little bit unexpected” exudes the Osbourne’s promise to always offer the best of modern pub food and we intend on continuing the momentum of our first year into another year of pushing the boundaries of excellence in Brisbane in 2019. We are so grateful to all of our patrons and the continued support and interest we have received from the local community. The Fitzgibbons’ family celebrated a number of wins on the night with their South Brisbane venue, The Glen Hotel in Eight Mile Plains, taking home the 2018 QHA Award for Best Redeveloped Licensed Premises Up To $2 Million. 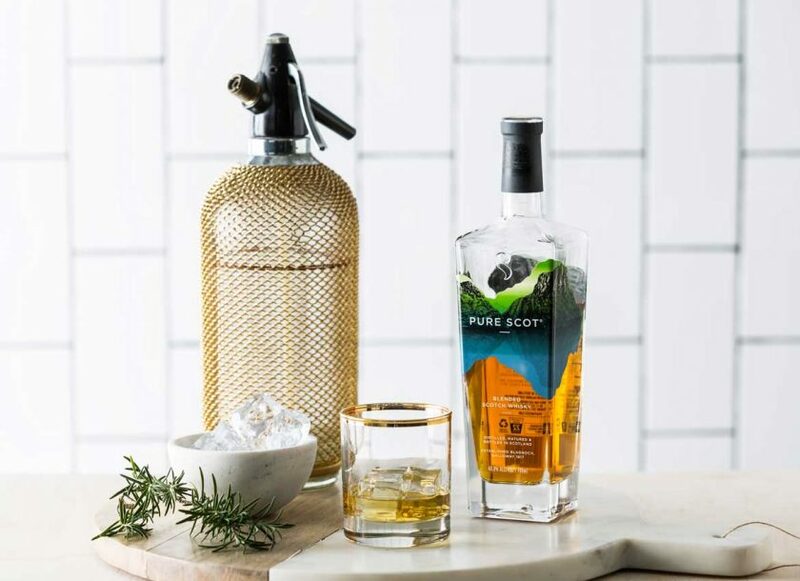 Get to know the award winning brand Pure Scot as we celebrate some of the finest drams around the world for World Whisky Day.